Peanut butter and Chocolate go together so well. 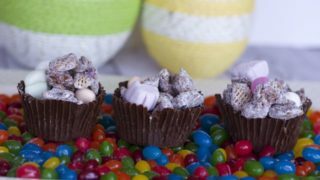 Why not create a classic candy into an Easter Dessert. 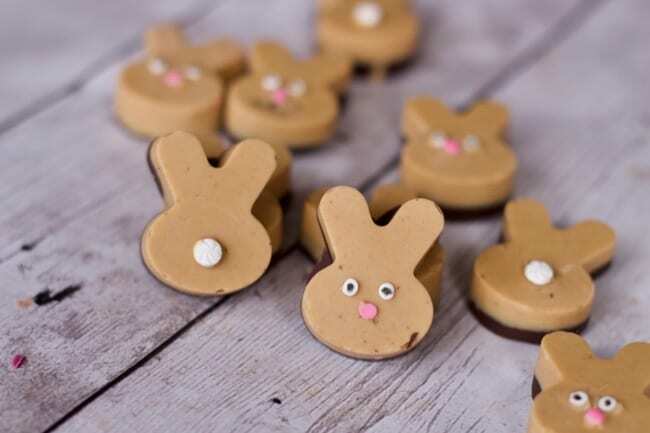 These Chocolate Peanut Butter Bunnies are just what we were craving this Spring. 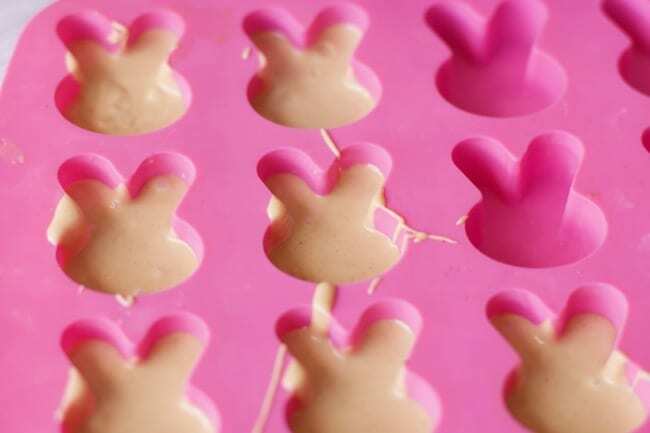 We love using our Bunny Rabbit Silicone Molds for all these Easter Treats. 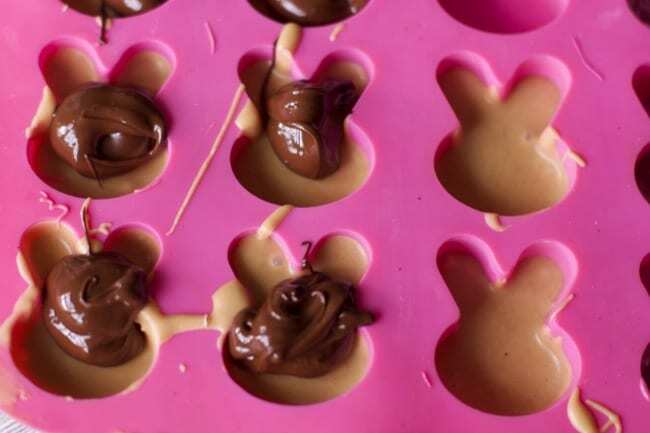 It was nice to have another use to our Bunny Silicone Mold we used to make these bunny soaps. We used peanut butter flavored candy discs and added a tablespoon of peanut butter to the melted mixture. 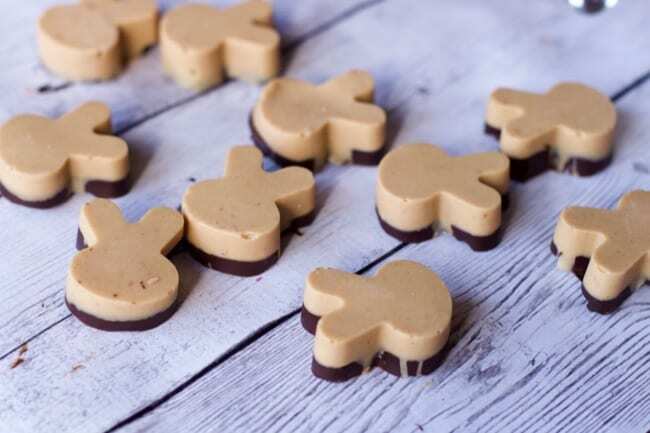 Layer half of each mold with the peanut butter mixture and allow it to cool completely. 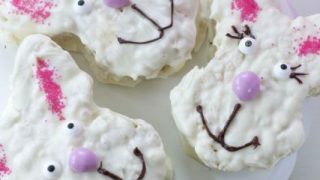 Melt milk or semi sweet chocolate chips or discs and fill the bunny rabbit cavities. Place the mold in the fridge or freezer. Once they are fully cool, you can pop them out of the mold and enjoy. 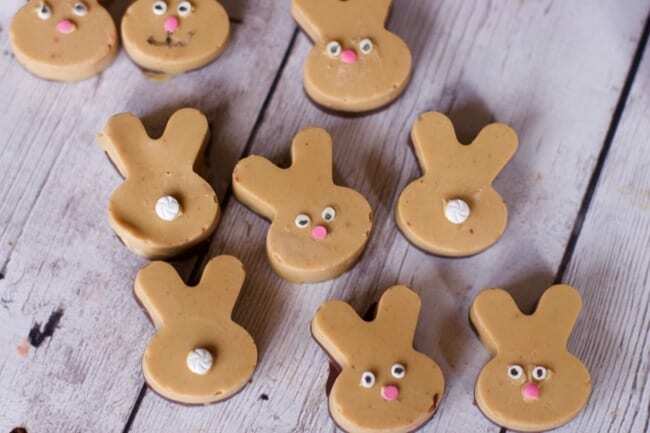 If desired, use leftover melted chocolate add candy eyes, a nose or a tail. We tried writing on the chocolate with edible markers but the chocolate was too soft, maybe because of the flavoring or added peanut butter. 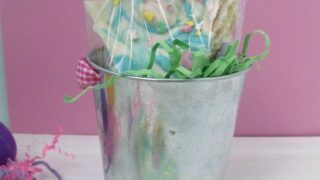 Other fun Chocolate Easter Treats we have made in the past. 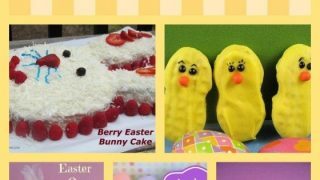 I was shopping at Fresh Market the other day and briefly looked at the fun display of Easter treats they had towards the check out lines. I saw Chocolate Covered rice krispy treats on a stick. 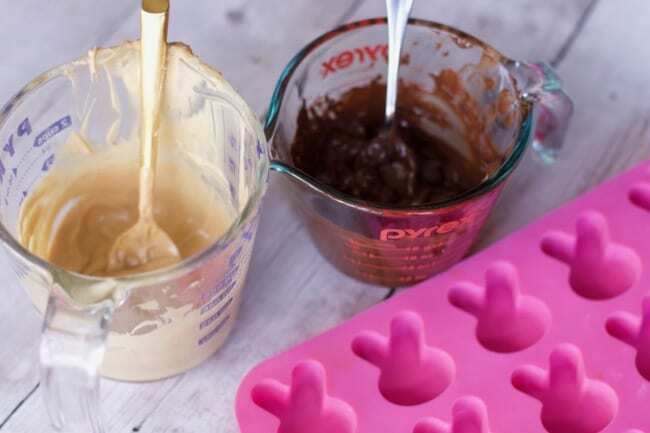 Melt some chocolate chips in the microwave and add a tablespoon of shortening to make it a little smoother. I am not sure if I over heated the chocolate b/c I was in a hurry but it did not come out smooth and I was not about to waste more chocolate to try again. Insert a popsicle stick and dip the treat into the chocolate, covering the entire cookie. Push on a yellow chocolate disc and allowed the entire thing to dry for about 1 hr. You can speed up the process by putting it into the fridge. After they dried I used black and red icing to finish the decorations. I did not have orange or else I would have used that for the beak and legs. Besides the bumpy chocolate I think any child would gladly accept these treats when offered. With the leftover chocolate and decided to try some chocolate covered Oreos too! 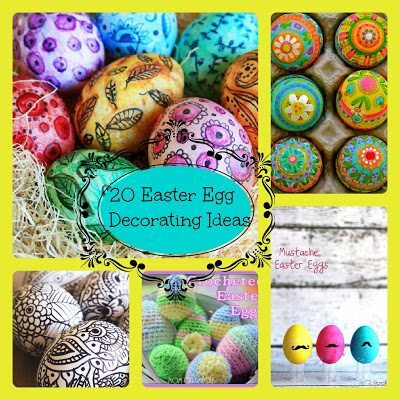 Feel free to use icing decorations for a quick decoration idea. I am sure I bought them a few Easters back on sale after the holiday. On the back it says they will stay fresh indefinitely…. Be sure to blot the stick or holder into the oreo with chocolate so it stays securely. Be warned that I often go off on tangents when doing a project. 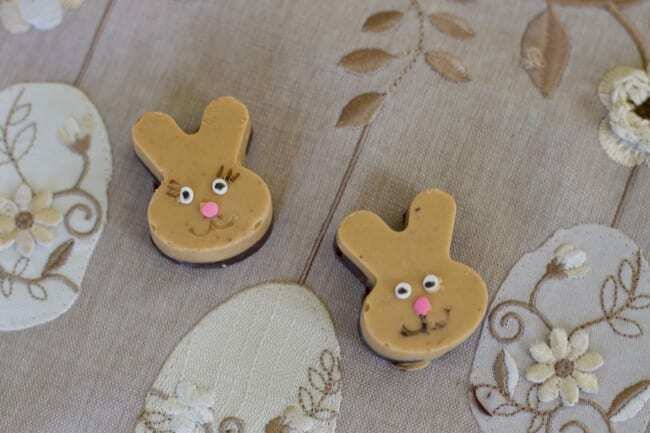 I picked up some Pretzel snaps at the store as well and converted my Pretzel Treats into little chicks. To find the pretzel treat directions follow this Link. I did not have any orange m&m’s so I cut jelly beans in half for the beaks and I had black and orange sprinkles from halloween that I used for the eyes. I think they turned out pretty cute!! I did learn that if you don’t have a tweezer to pick up the tiny adornment candies, lightly dip a toothpick into the chocolate and use the tip to pick up individual pieces. Just work quickly because the chocolate and candy will dry. Also gently press the eye into the chocolate disc or they will fall off when it is hardend. YES I Can’t wait to see your final product. These are adorable!! 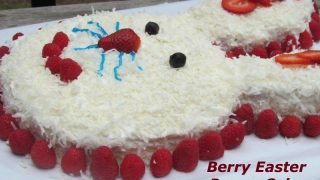 It’s something my daughter & I could make together!